This past weekend we had an amazing time in Manchester during the Worker Bee Weekender by Visit Manchester. We visited some of the best hotspots for food, because honestly eating is one of our favourite things to do. So of course we joined the tour by EATMCR to go to the best food hotspots in town, had an Afternoon Tea at Raddison Blu Edwardian and learned how to make cocktails at Science + Industry. 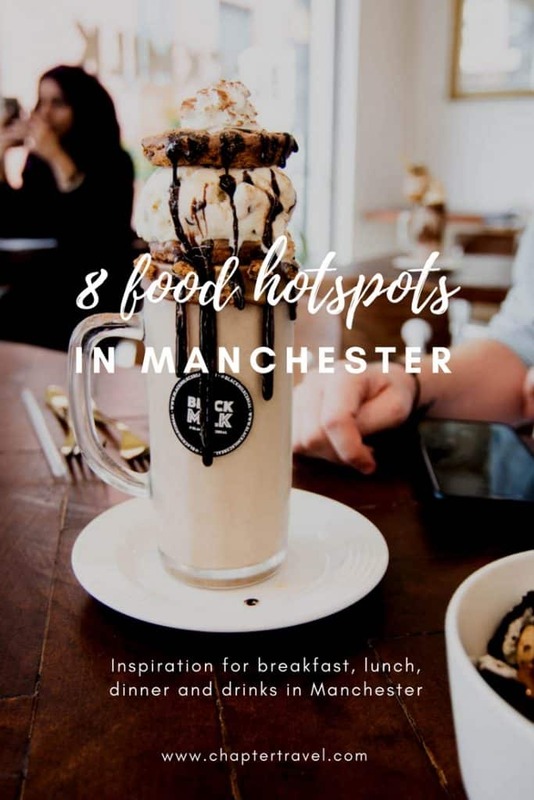 Are you looking for some great hotspots for breakfast, lunch, dinner and drinks in Manchester? 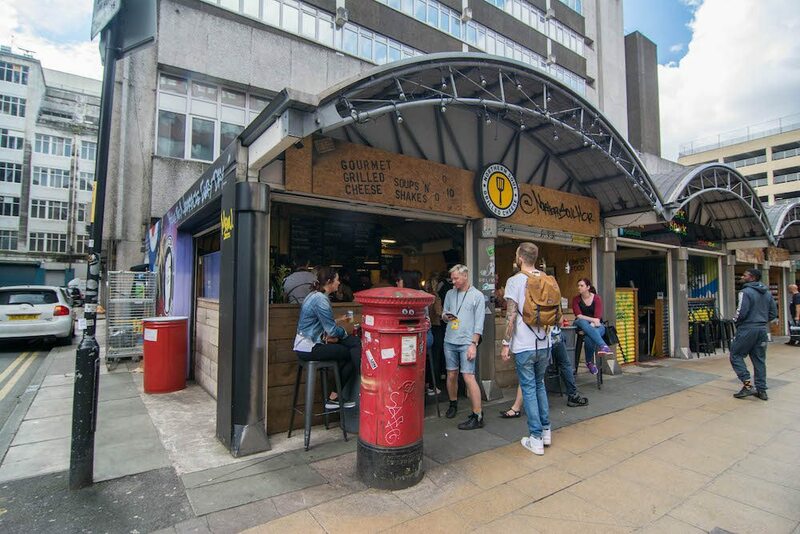 Well, you’re in luck, because in this article you can find 8 food hotspots in Manchester! 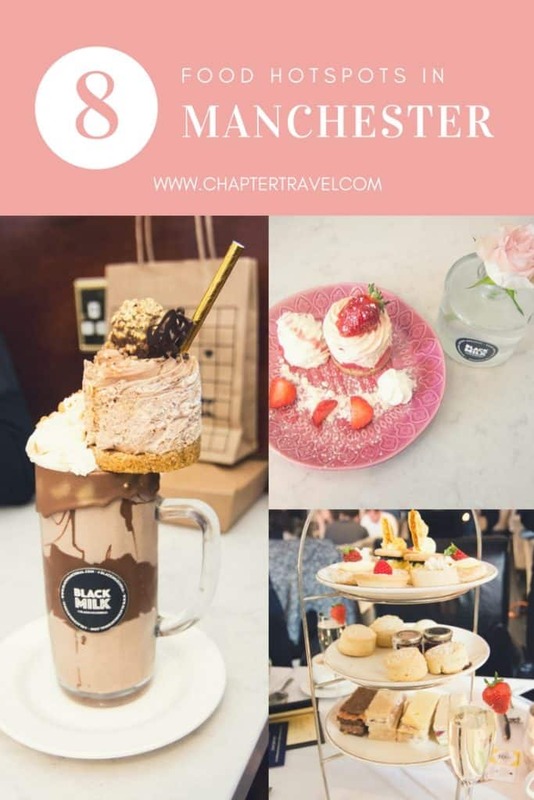 Be sure to also check out our Travel Guide for a Weekend in Manchester. Our first stop during the food tour was the Northern Soul Grilled Cheese. The name already says it all, but they serve toasties here with lots of cheese and other delicious ingredients. Even though the concept is simple, they offer a surprisingly diverse menu ranging from The Soul with a secret 3 cheese blend to Cuban Pete with pork, roast ham, melted Swiss cheese, French mustard and dill pickle. The toasties are seriously as good as they look like and if you like cheese, you will love this place. Oh my, I don’t want to pick any favourites, but this was seriously one the best hotspots in Manchester. I also don’t want to sound cliche, but never before have I come across a more Instagram worthy dessert shop than Black Milk Cereal. 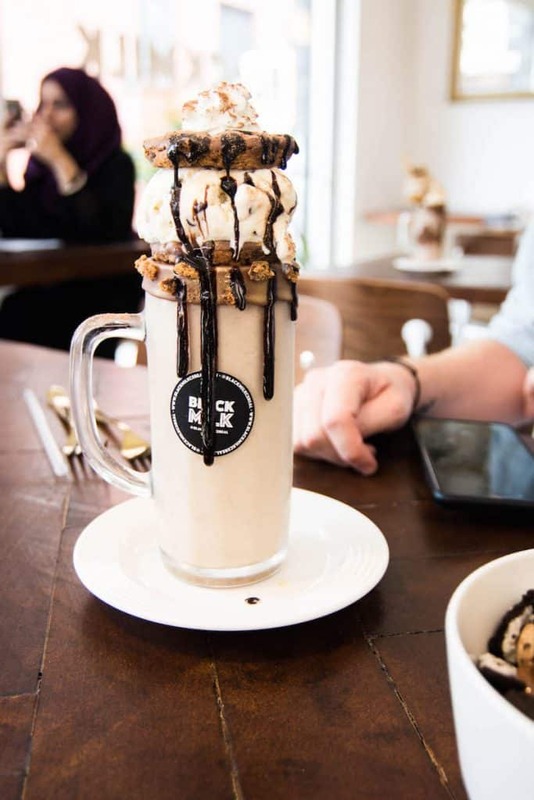 They serve the craziest milkshakes called Freakshakes with a big cheesecake, salted caramel stack or marshmallows on top. It all tastes likes it looks; super sweet, delicious and well, very heavy. They also offer smoothies and smoothie bowls if you’re on a health kick! 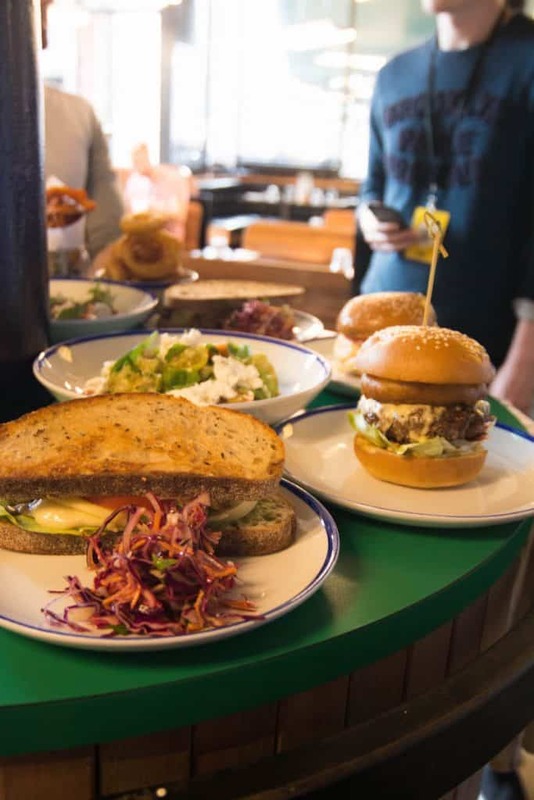 At West Corner they serve breakfast, brunches, burgers and everything in between. This was our third stop during the food tour, and you can imagine that by the time we arrived at West Corner we were already a bit full. But we couldn’t resist trying out one of their fresh salads and delicious sweet potato fries. The last place we visited during our food tour was Cottonopolis. The rest of the group still went to one more place, but unfortunately we had a plane to catch! At Cottonopolis they serve cocktails, beer, cider and delicious Japanese inspired dishes. Cottonopolis has a great interior with lots of lamps and lush plants. Here we mostly indulged in some cider and just a few bites of the food as we could barely move anymore. The informal welcome reception of the Worker Bee Weekender was held at the Refuge by Volta. Here we got the chance to meet and network with other participants of the trip. The venue is just stunning! During the event they also served delicious canapés and various refreshments. * Please note they are closed between 2.45 – 17.00 on Monday – Friday. Science + Industry in Manchester is a dedicated drinks laboratorium, located above Cane and Grain, where they experiment with flavours and techniques. During the Worker Bee Weekender we were able to take part in the cocktail making class at Science + Industry. During this cocktail making class we were taught how to make two of their signature drinks! 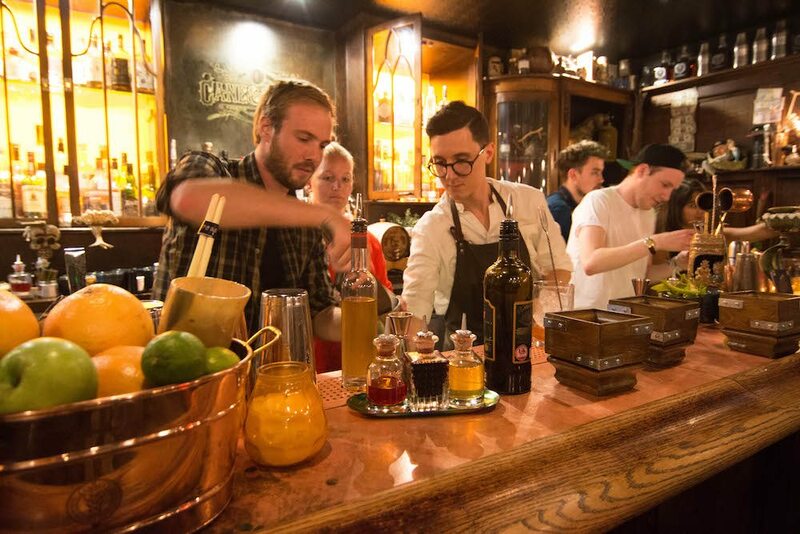 It’s definitely a fun experience to stand behind the bar and learn from some real experts. But most importantly, the drinks were really tasty. And we have to add how amazing the team at Science + Industry is, they were so dedicated and definitely had some bartender skills we could not imitate. 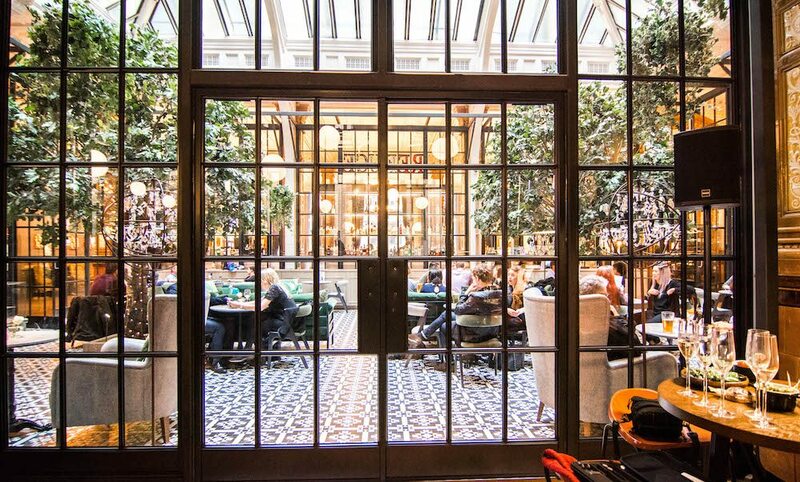 We had a lovely afternoon tea at the beautiful Opus One at The Raddison Blu Edwardian. 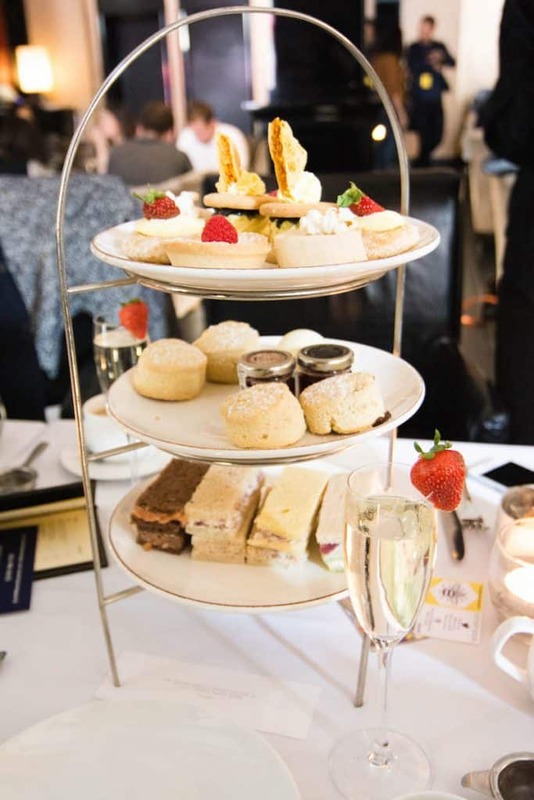 There were two selections of delicious treats we could choose from: one was the Traditional Afternoon Tea with an assortment of sweet pastries, finger sandwiches and freshly baked scones. And the other was the Gentlemen Afternoon Tea with fish and chips, mini steak and chicken slider instead of the sweet pastries. Naturally we got some prosecco and we could also choose from various tea options with different flavours and aromas. 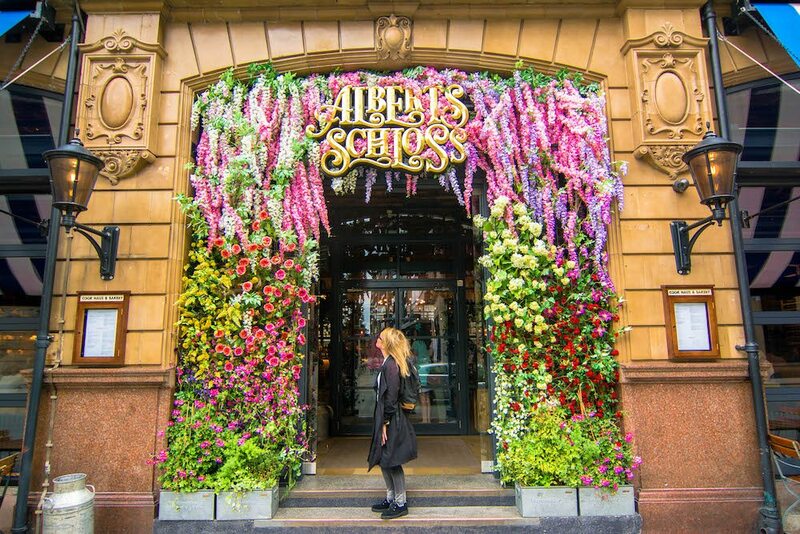 Albert Schloss is a place you can barely ignore, mostly because of the amazing entrance that is covered with flowers. When we walked passed it I immediately wanted to take a photo of it! 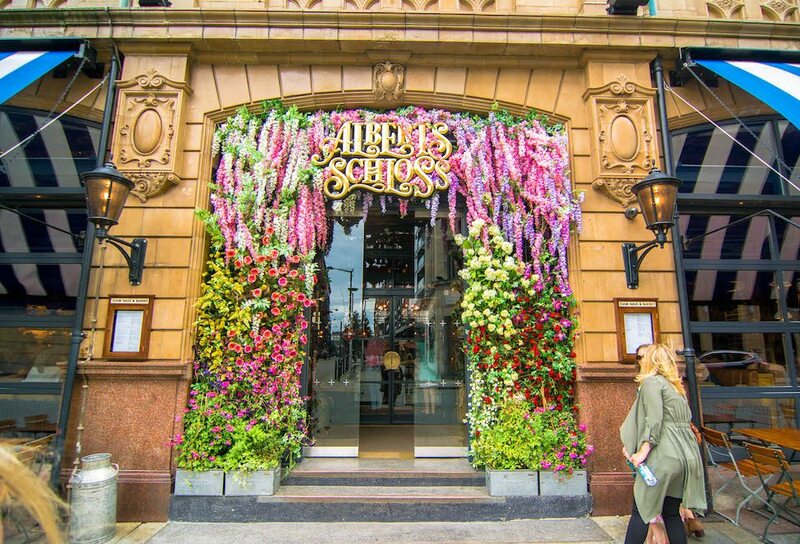 At Albert Schloss you can get coffee, pastries, beers and more. 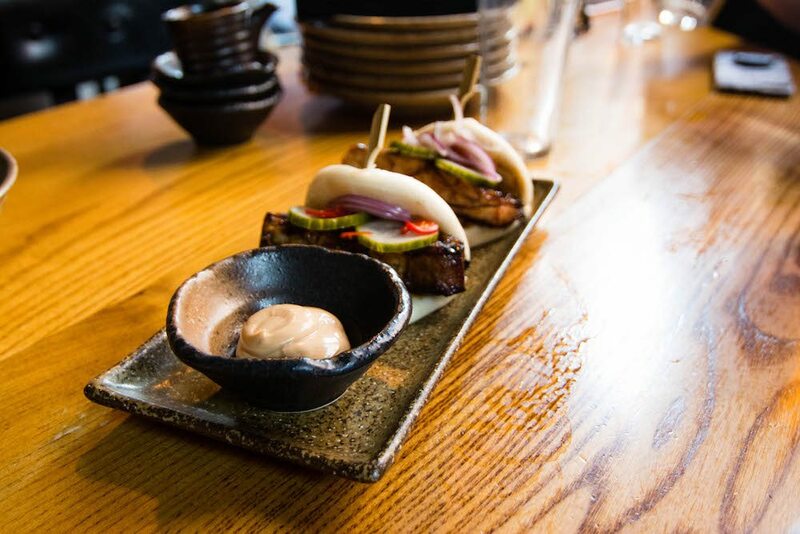 These were 8 Food Hotspots in Manchester for amazing meals and drinks. We hope you get some inspiration from it. 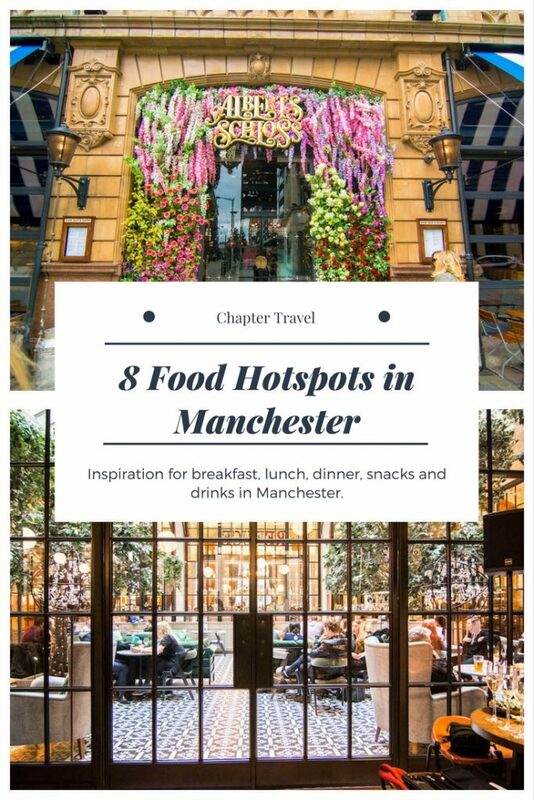 Let us know in the comments if you have some suggestions for great hotspots in Manchester! I just had lunch and this post just brought my hunger back. Oh man. Everything looks amazing. Never thought of Manchester as a foodie destination, but you had me at Black Milk Cereal! Thay all look good! Don’t they?! Thank you Sally! Haha yes it’s a good foodie destination! Haha I was just scrolling past my own photos and I got hungry… Thank you for commenting! Oh this is really making me miss England. One thing I loved most about living in Leeds was the diverse and ever-changing food scene. The North of England has some amazing eateries. Definitely have to try some of these when I’m in Manchester next! Haha yesss isn’t it insane? We loved it! Wow the refuge looks incredible and now I fancy a grille cheese! I’m off to Manchester with work in a couple of weeks so perfect timing! Thank you Alexandria! I hope you find some inspiration in here for your upcoming trip to Manchester! Who knew Manchester was such a foodie destination? I want to go to every single one of these places! The grilled cheese and afternoon tea are especially calling my name! I know, I didn’t necessarily expect it either! It was amazing, we are both huge foodies so it was like heaven. The grilled cheese and afternoon tea sure were lovely. Thanks Lena!! Albert Schloss has the entrance! So great you’re going to Manchester! Be sure to also read our mini guide :). Omgggg this all looks amazing and now I’m drooling! Will have to save this for if I go! Haha yes you should go to Manchester just for all the food! 😀 Thanks Caroline.